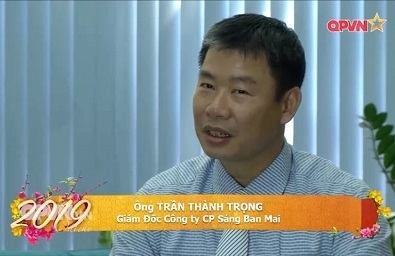 General Director - Tran Thanh Trong side " spiritual child "
Welcome to SBM CORPORATION (abbreviation is SBM) - The Vietnam’s leading manufacturer of industrial generators with capacity from 10KVA to 2500KVA bearing "TRUSTED BRAND" as SBMPOWER®. 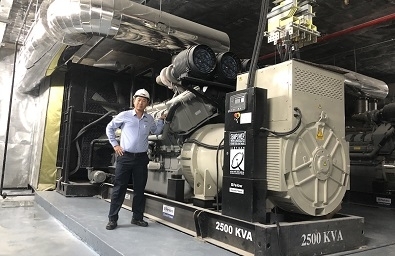 SBMPOWER® industrial power generators are a selective combination of world-renowned main components such as PERKINS, CUMMINS, DOOSAN, IVECO-FPT, JOHNDEERE, MITSUBISHI; LEROYSOMER, SINCRO, DEEPSEA ... with materials and skills of Vietnam. 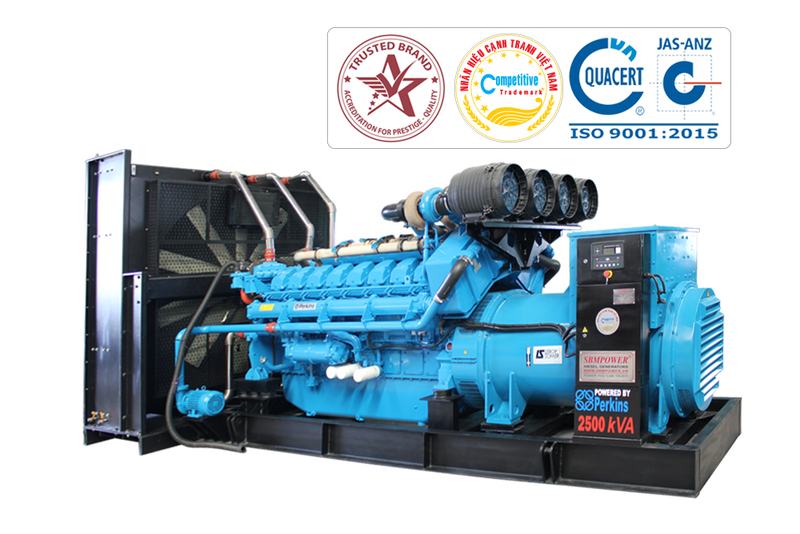 SBMPOWER® generators are manufactured according to the International Standard BS8528, ISO 4036 ..., meeting the European Standards -CE and obtaining the International Quality Management Certificate ISO 9001: 2015. SBMPOWER® products are comparable in quality to the same products of G7 developed countries, but their prices are lower than 10% -20% and after-sales technical services are professional and effective. 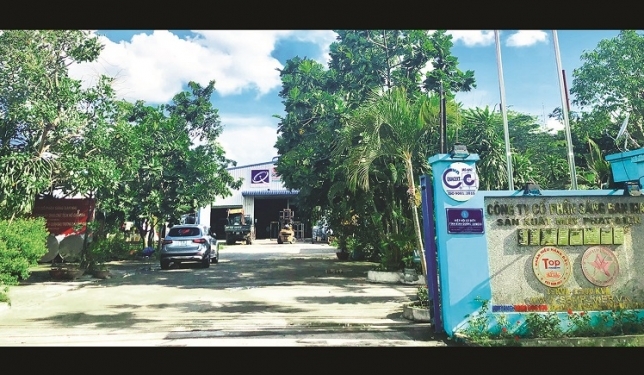 SBM Corporation is Vietnam’s unique company successfully producing industrial generators with a capacity of more than 75KVA to 2,500KVA approved by the Ministry of Industry and Trade of the Socialist Republic of Vietnam as the Vietnam’s product manufactured pursuant to Decision No. 3798/QD-BCT dated 20 September 2016; which completely replaces imports, saves the budget for the country. 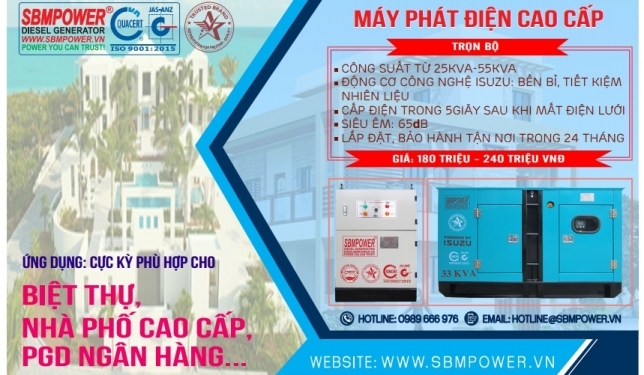 With the continuous efforts of SBM, SBMPOWER® generators are increasingly asserted in Vietnam and in the region. 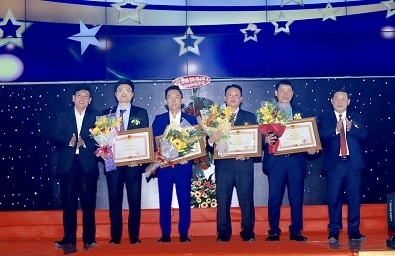 Especially, in 2014, SBM successfully produced dozens of generators of 2,200KVA - 2,500KVA capacity, well serving the administrative center of Binh Duong province, Becamex International Hospital and the My Phuoc General Hospital (Binh Duong). 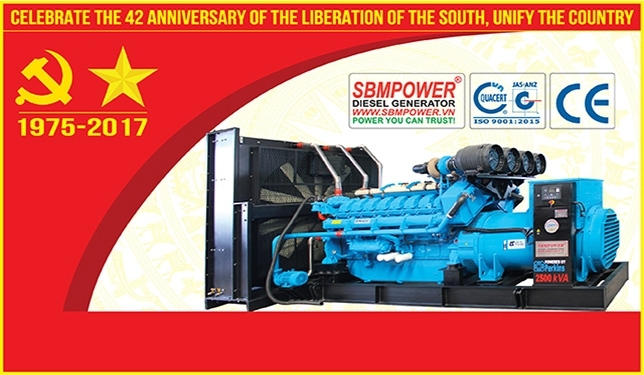 In 2016, SBM made a breakthrough as the first Vietnamese company to successfully manufacture and export 2,500KVA generators to foreign markets with total capacity of up to 8,600 KVA, 1.3 million USD. So far, SBM’s oversea export market has reached nearly 2 million USD a year. In 2017, SBM was honored to receive the National Quality Silver Award from the Prime Minister. 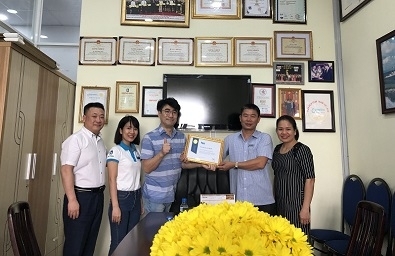 Also in 2017, SBM’s General Director Tran Thanh Trong was honored to receive the Certificate of Commendation of Prime Minister NGUYEN XUAN PHUC for his achievements in his work, contributing to the path of building socialism and defending the Fatherland. In addition to domestic production, since 2016, SBM has also cooperated to import generators branded GENPACS from the EU to meet the diverse needs in the country and receive advanced technology from Europe. 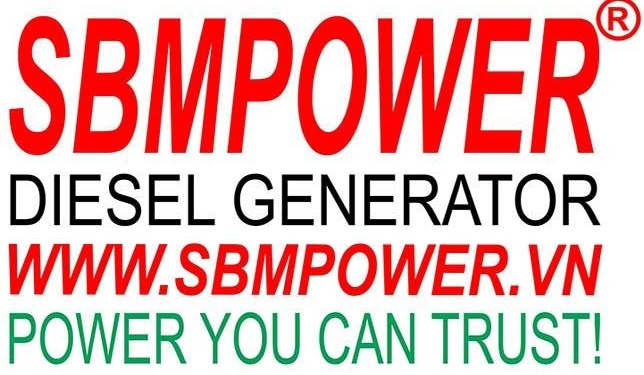 With the criterion "SBMPOWER® - POWER YOU CAN TRUST! 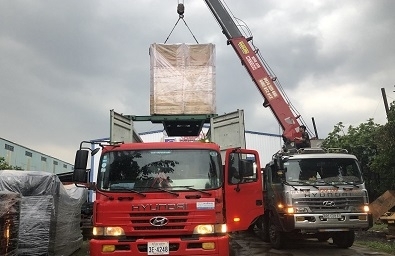 ", SBM is committed to providing customers with industrial generators in line with the European quality standards, at reasonable price and with excellent warranty service. 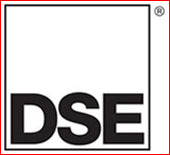 We trust to be your reliable partner! 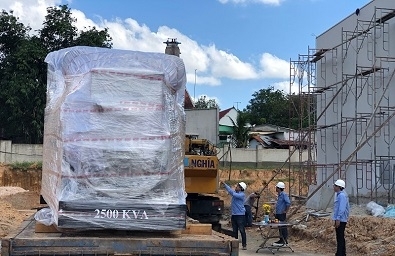 In 2016, Vietnam SBM is the first enterprise manufacturing and export success with power generators 2.500KVA into overseas markets with a total capacity of up to 8,600 KVA and worth nearly $ 1.3 million. This is a breakthrough for the development of export for SBM products (link to project PRMALIS). 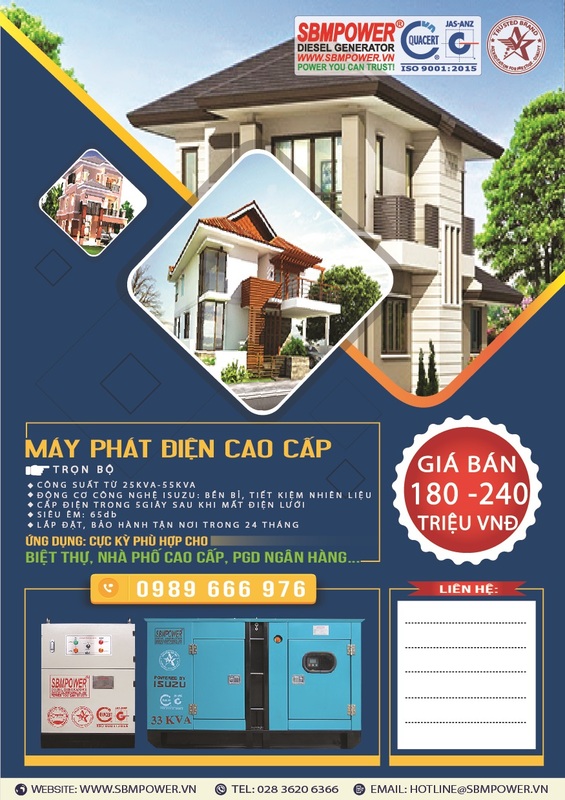 Besides domestic production, since 2016, SBM generators imported from Germany GENPACS brands to meet the needs of customers in Viet Nam and access to advanced technology from Europe.